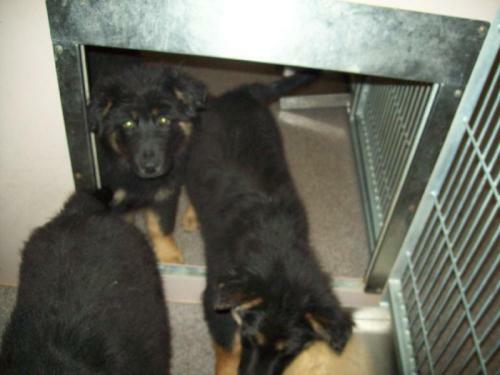 There are 5 possible German Shepherd Puppies at the local shelter where I live. I have not gone out to see them but talked to the shelter manager. They have been at the shelter for 1 week. I have called both local rescue groups in my area and nobody can take them! Anyone?? "Heroes, man's best friend, devoted servants of their owners; dogs are the only beings who love their owners more than they love themselves." Sending out. No promises. Want to PM me your contact info JUST in case? Just sent you a PM thanks! Oh my gosh, they are sooooo precious. If only I were closer I would snap them up in a heartbeat. There has got to be someone that can take these babies. Every dog deserves to have a human that thinks they are the greatest dog that ever lived! Oh, dang it, the look so sad. Thanks for the PM! I sent you some unfortunately realistic questions re shelter and any recent parvo or distemper outbreaks, etc. Thanks. The last urgent pups in SC never responded so I'm hoping they were rescued. Please update me about these little guys. If they aren't being helped as of yet, I would be willing to take one. 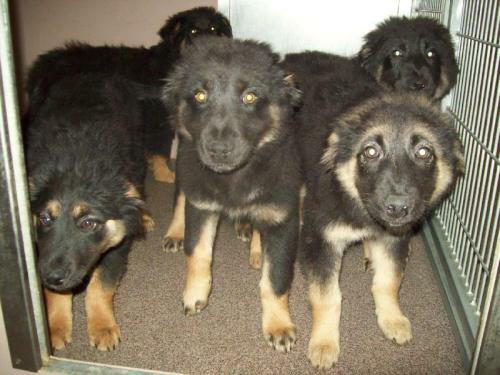 GSD kid... there is no rescue for these pups that I know of. The shelter mgr. called me at 4:45 and they closed at 5:00. They will reopen tomorrow at 10:00 - the cost is 5.00 to pull if with a 501c. Anyone who can help??? I hate them being there! Icycleit. I just called one of the guys there. He couldn't give me much info. Do you mind going and taking a look at them for me since they're local for you.